I don't usually buy prepackaged pies but I was tempted by the cutest display of mini pies at Walmart. These 4 oz Old Fashioned Pies came in flavors of cherry, blueberry, apple, lemon, and pecan. My folks are suckers for pies so for .68 cents a piece, we took three home. 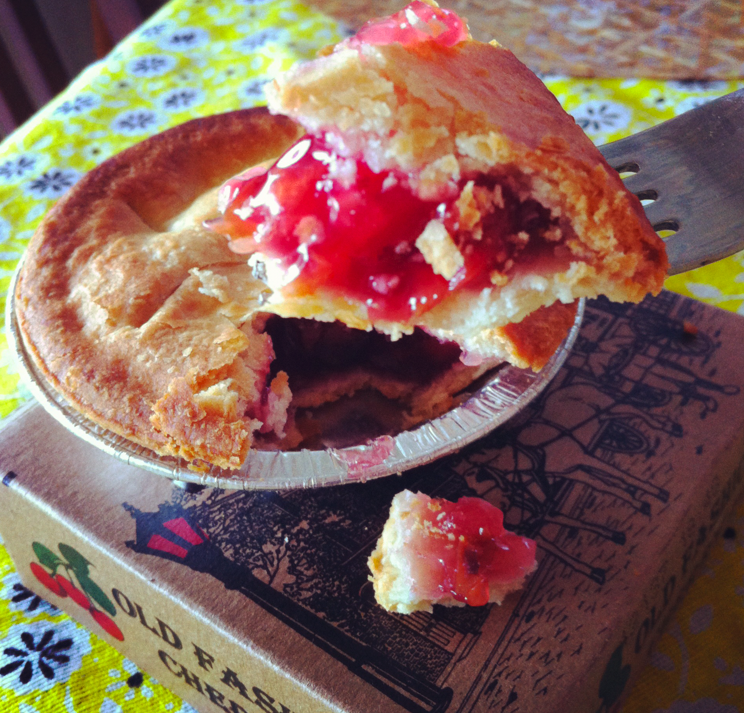 I tried a bite of the cherry and it was surprisingly good, the crust flaky and tender and the filling a real taste of cherry in each scrumptious bite.